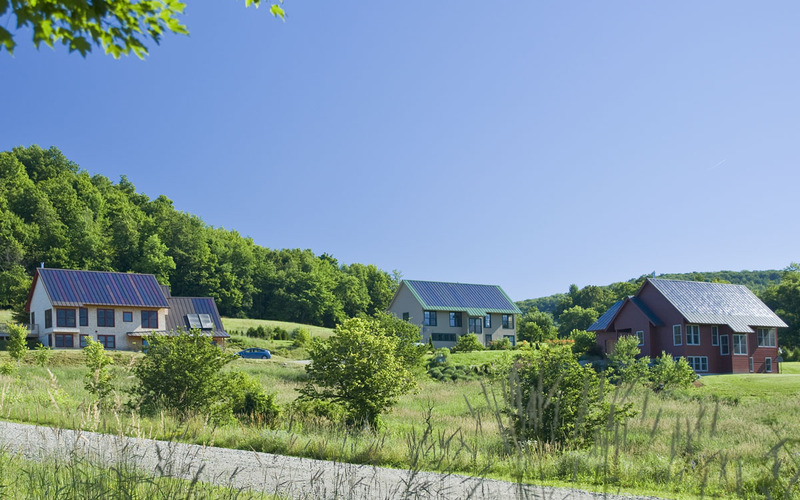 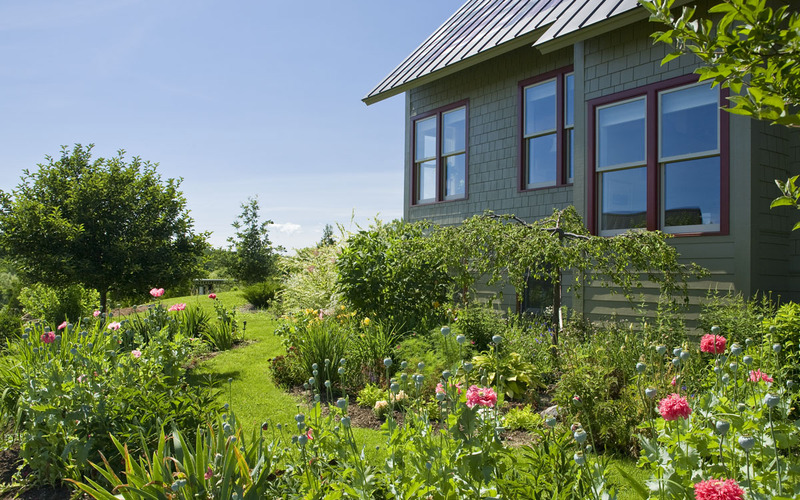 This green community of six homes in Hinesburg, Vermont are positive energy buildings, producing as much energy as they use over the course of the year. 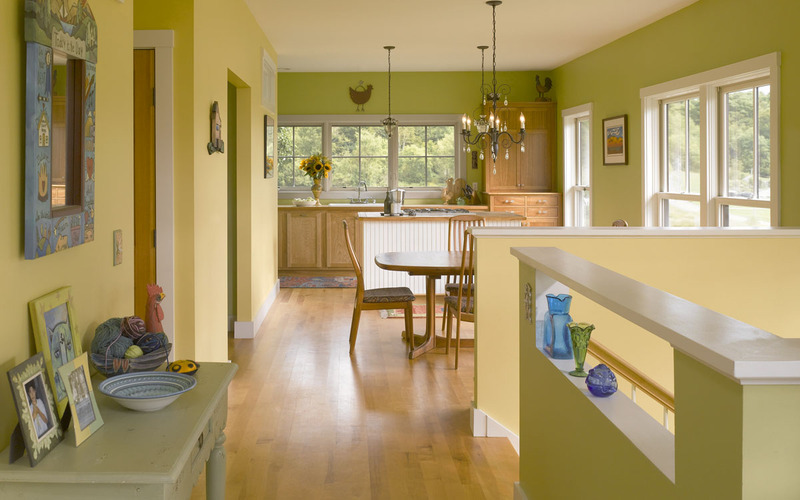 The homes sit comfortably in the south-facing hillside, and each has its own individual charm, using quality materials with attention to details. 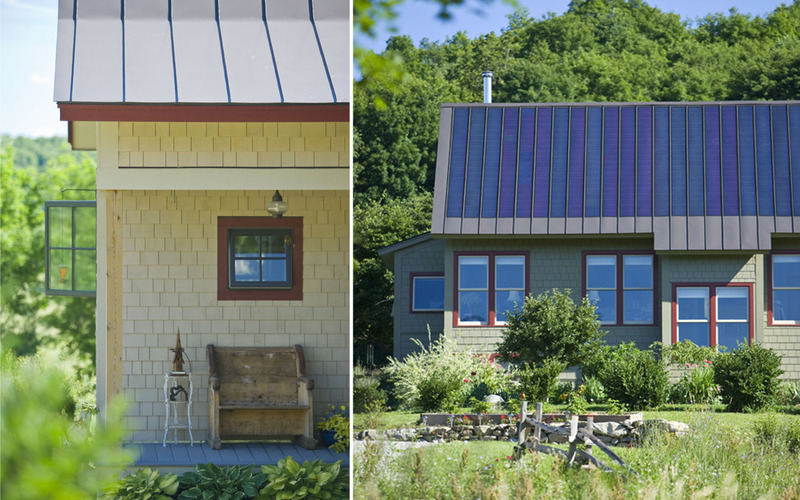 The project is registered with the Vermont Builds Greener program, a certification system that ensures the homes are healthy, energy efficient and incorporate sustainable construction practices. 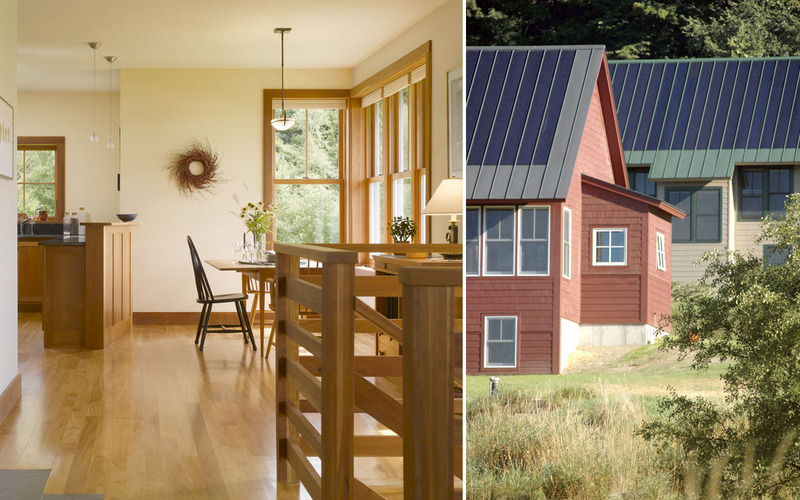 Environmental features include geothermal heating, radiant concrete floors, triple pane windows, super insulated walls and roofs, building-integrated PV solar panels, and south facing glass which provides solar gain and great views down the valley.